Long ago, and not so far away, the sweetest little girl in the world was born on this date. I won't tell you how many years ago, but just know that to properly celebrate her birthday today we needed to get a fire permit for the cake! In our neck of the woods a lot of guys my age start looking around for a "trophy wife". I'm lucky - I found mine 46 years ago! 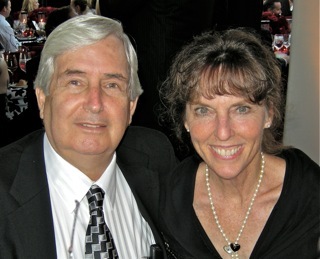 So, a BIG HAPPY BIRTHDAY to my sweet, loving and VERY patient wife, Susan. She can click HERE to hear my wish for her sung by Lee Ann Womack. Oh how lovely!! What a thoughtful hubbie you are! 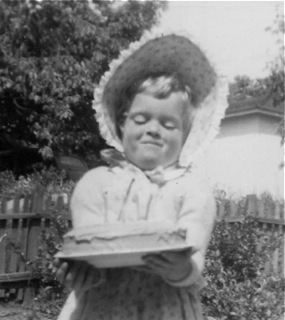 With Many happy returns to my dear cousin Suzie! with lots of love!! Flo is sending the very best birthday wishes to your dearest trophy wife. You are indeed a very, very lucky fella! Susie is beautiful in your photo. Shower her with love, every minute of every day. you robbed the craddle for sure! happy birhtday to a really cool lady. Thanks, Flo... I work hard at it because I'm one lucky dude! I hope you had a terrific birthday. Did you get her that "dance partner" for her birthday? She seems thrilled in the photo. Happy birthday Susan. Thank you for sharing Geoff with us. You are a special couple. Actually, you lunk head, it is NOT anonymous. It is signed by my sweet and patient wife's cousin, Cherry. Shove your bogus criticism where the son don't shine! I think it's hilarious when these guys call Geoff out. All of a sudden....they want to "follow the rules? This is Geoffs sandbox, these are his rules. Your comment is just a sandy cat "tootsie roll".